"Watercolor Immersion in Italy with Robert Leedy"
I am thrilled to announce that il Chiostro, a creative workshop group that focuses on Italy as a destination, has asked me to return to teach another week-long watercolor workshop in Tuscany this coming June (June 1st - June 8th, 2019.) I got my feet wet in June 2018 and had a fabulous time with my group of students painting in the Chianti countryside. 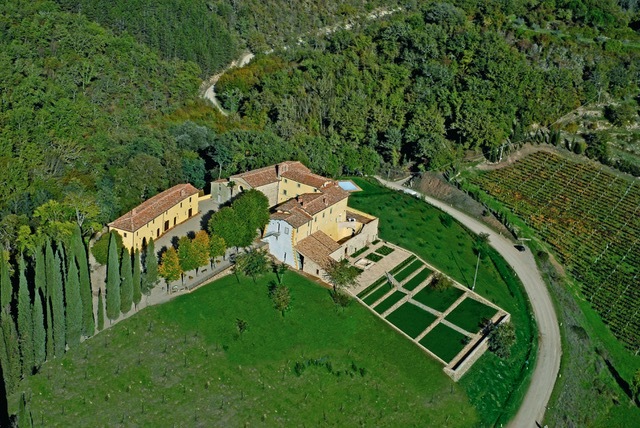 il Chiostro has been organizing amazing workshops for over 20 years and Tuscany is one of their more popular venues. 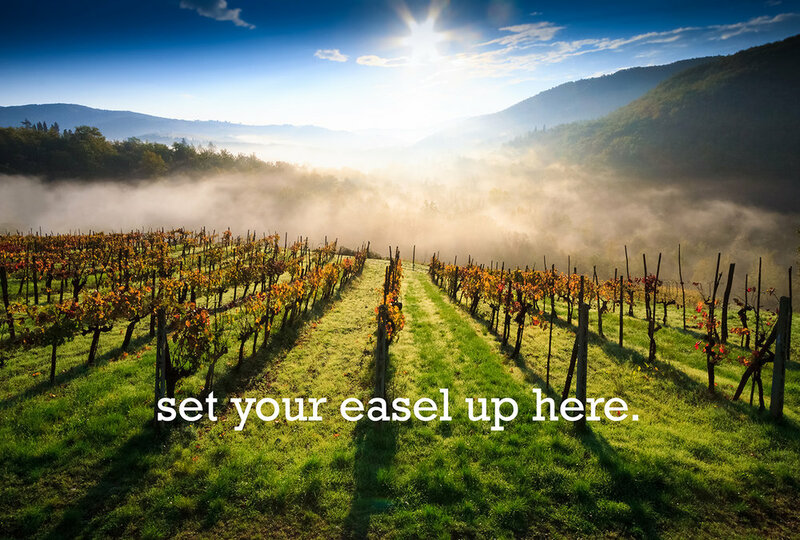 Your immersion in watercolor will take place in the vineyard-filled countryside just outside of Siena. One of the best ways to jumpstart your creativity is to spend a week in a beautiful, new environment painting and exploring the surroundings on a daily basis. Creating that environment is where il Chiostro excels. Free from the usual, day-to-day demands back home, your mind will be open and focused to learning new things and your creativity will flow forth. Tuscany is the perfect such creative environment and a week of painting & sketching in watercolor will leave you inspired and re-energized. Watercolor is the perfect travel companion and it is my favorite choice of painting mediums. I will guide you through the medium during your week of discovery! 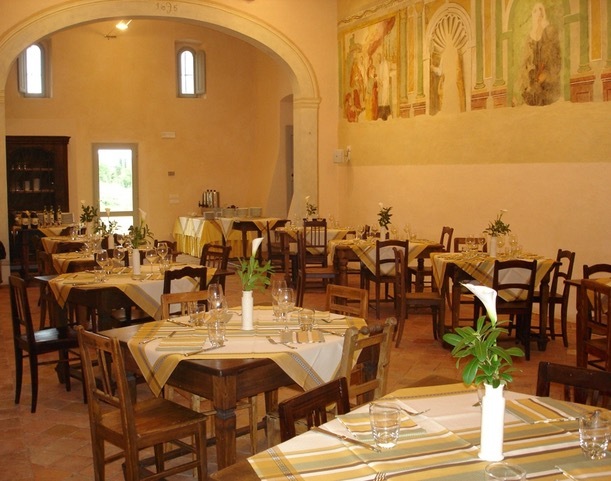 The Tuscan Renaissance Center is 12 kilometers northeast of Siena and is where we will eat, sleep and paint for the week. It is also known as San Fedele, a former monastery dating back to the 12th Century. In 2001, Nicolo & Renata, a couple from Milan, renovated the property and opened it up to visitors - not as a hotel - but a historical residence. San Fedele is reserved entirely for us during the workshop, so we won’t need to share the space with other guests. This unique property sets the tone for your week of painting! The property includes a large ex-church common room, a breakfast room, a dining room, a large terrace extending all along the back of the structure, and a multi-media room. Exterior spaces include a rose garden, vegetable garden similar to what the monks used from the Middle Ages onward, and a large central piazza. In season, there is also a large, Olympic sized swimming pool on the lower section beside the olive grove. There are several options for the rooms such as deluxe suites and single supplements. "Fig & Olive Trees at Lake Garda, Italy" by Robert Leedy, watercolor on paper. We will work daily whether it be on site at San Fedele or on location. Great subject matter will be all around you: landscapes, architectural landscapes, still lifes and figures. There will be opportunities for studio and plein air work as well as working with watercolor in sketchbooks. All of the elements and principles of successful watercolor painting will be covered. I will help you edit and simplify the scene before you. Drawing, design and composition will be touched upon as well as basic color theory, watercolor technique and brushwork. You will learn how to mix and mingle color along with taking advantage of color granulation. I will help you loosen up your painting with bold color and fluid mark making. The emphasis is on individual instruction and personal style so, both beginners and seasoned painters will benefit from this week of watercolor immersion. Your typical morning will begin with breakfast then a demo or lesson on watercolor techniques and a discussion of the day’s artistic goals; a morning painting session for several hours follows. After a break for lunch, you will have the opportunity to work in the studio or on location for three hours followed by a late afternoon critique of the day’s work. You will have a break before dinner followed by free time for the rest of the evening. There will also be opportunities for nocturnal painting. I hope you can join us. The week will be fun, educational and inspiring! 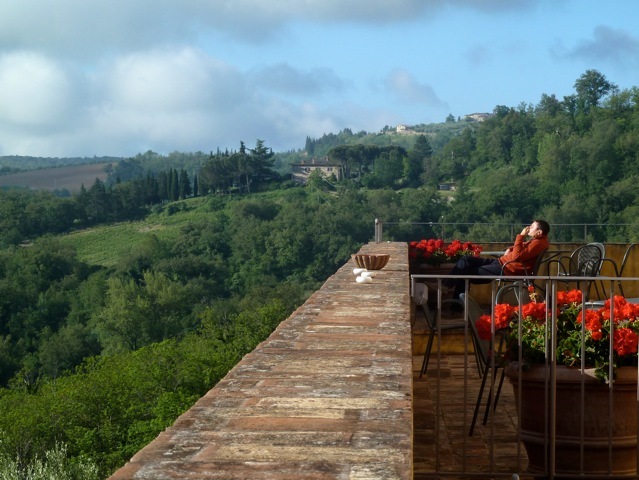 The basic price per person for your creative week in Tuscany is $2,895. There is also a non-painter rate plus an optional single room rate supplement and room upgrades (based on availability). 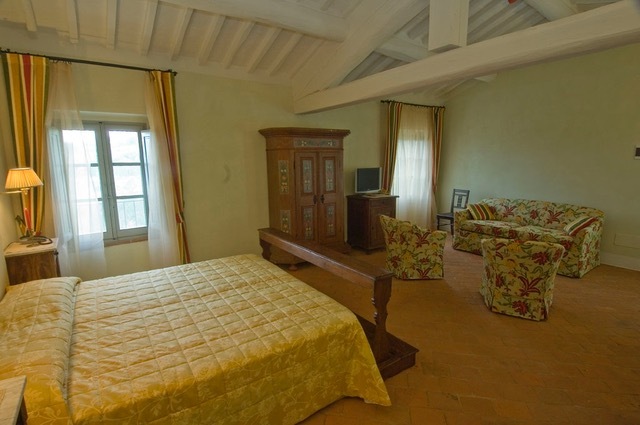 The base price covers your room, breakfast, dinner with wine, local transportation and excursions to Siena and local towns and villages. Airfare, lunches and other costs are not included. Click on the button below to read more. There will be another il Chiostro painting workshop held simultaneously at San Fedele so, SPACE IS LIMITED. Click on the button above to learn more about Watercolor Immersion in Italy with Robert Leedy on il Chiostro's website. If you are interested in reserving a spot, click on the Sign Up Now Button once you are at the above link. A $500 deposit will secure your space in the workshop. il Chiostro can also work out payment options. il Chiostro is also happy to help you with any specific questions on travel in Italy. Refer to their website for contact info. * I also have attended workshops in Italy - as a student - with il Chiostro to Venice, Lake Garda and Tuscany. 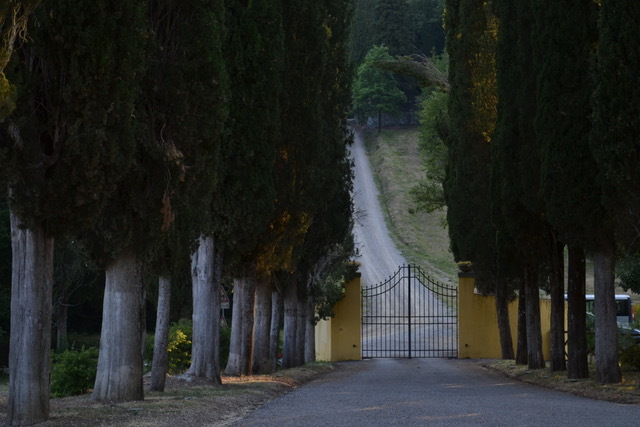 I know how they operate and I know you will enjoy your time in Tuscany!